Jonathan Rodriguez is graduating and you are invited to her senior recital. Congratulations to her. Labels: Jonathan is graduating for her senior recital. 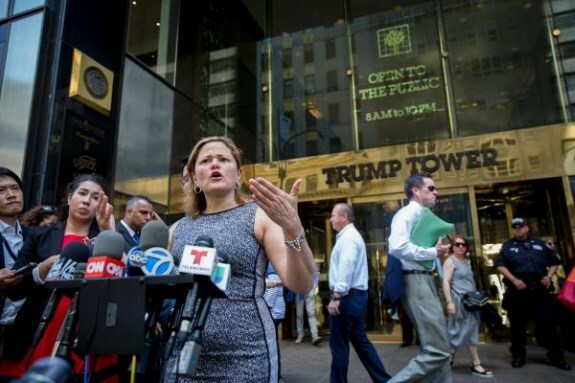 Council Member Leroy Comrie has teamed up with the NYC Department of Finance (DOF) & the Legal Aid Society to help relieve the property tax burden on residents in the 14th Senate District. On select dates starting on Wednesday October 18th, between 6 PM and 9 PM, DOF specialists will offer free screenings for property tax benefits, refunds, and other opportunities for seniors, veterans, and people with disabilities. 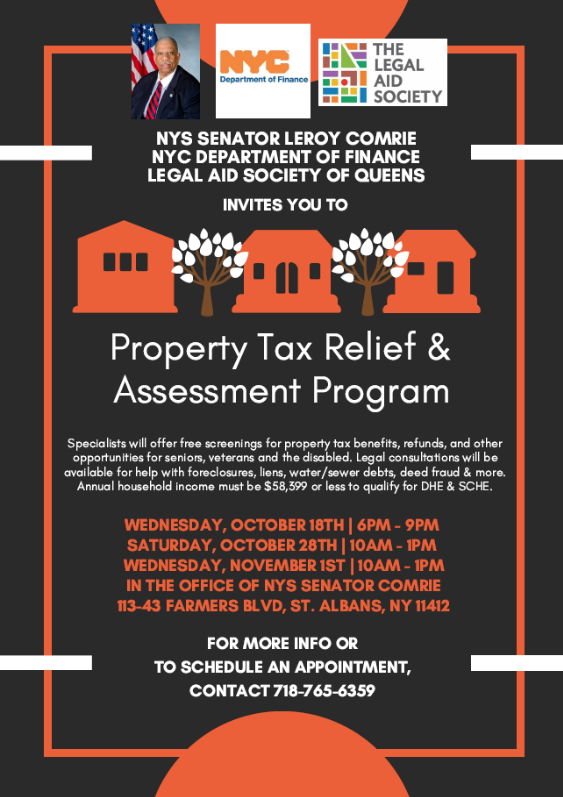 Labels: Council Member Leroy Comrie has teamed up with the NYC Department of Finance (DOF) & the Legal Aid Society to help relieve the property tax burden on residents in the 14th Senate District. The AirTrain Jazz Festival series continues this week with The Ed Jackson Quintet on the AirTrain Jamaica stage. Join us as we pay tribute to Jamaica’s rich jazz history by presenting some of the New York City metropolitan area’s best jazz musicians playing live. 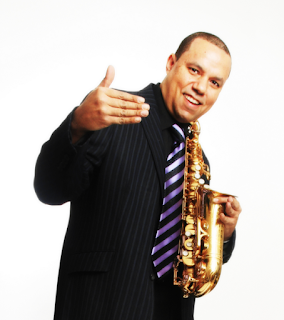 Labels: The AirTrain Jazz Festival series continues this week with The Ed Jackson Quintet on the Air Train Jamaica stage. Nationwide - A high degree of social capital is one the greatest predictors of youth labor market participation and success. 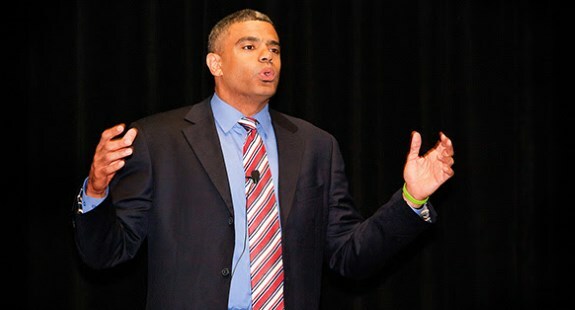 Edward DeJesus, a national youth workforce development expert, is sending this message out loud and clear in his new book entitled Making Connections Work (available at www.socialcapitalbuilders.com). "Workforce programs focus mainly on increasing skills and credentials without helping youth develop the necessary social capital that could help put these achievements to work," states DeJesus. "By helping youth build social capital, workforce programs are creating the conditions necessary for development of skills, mature work ethics, and a sense of hope needed for students' long-term labor market success." Labels: TEACHING YOUTH THE #1 SKILL FOR WORKFORCE SUCCESS NOT TAUGHT IN SCHOOLS. Little Rock, AR - CWR Media Group announced today the official launch of The CWR Network with two days of prime time programming to introduce all of their programs on Monday, October 16th and Tuesday, October 17th from 6:00 PM CT to 8:00 PM CT. Live and on-demand programming for the Internet talk radio network will be featured on BlogTalkRadio which currently receives 24 million listens per month, and on Apple Podcasts (formerly iTunes). 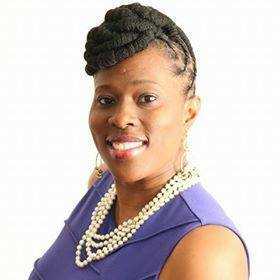 The CWR Network has positioned itself as the causes, issues and life-dynamics network. But, just what is the causes, issues, and life-dynamics network? According to CEO and founder Donell Edwards, "...it is a network that focuses on many of the causes and issues that affect people of color that receive little attention from mainstream network television, cable television, and major newspapers and magazines, such as the intensifying racial tension in America, the killing of unarmed black males by police, the inequities in public schools, generational poverty and financial literacy, the proliferation of gun violence, and health and wellness issues, just to name a few." “Rolling back federal requirements to provide no-cost birth control to women covered by employer-sponsored insurance plans is another move by this administration to seriously undermine the rights of women in the United States. Impeding access to birth control directly targets more than 55 million women across the country, and avoidance of a formal review before unilaterally imposing such a catastrophic change risks the health and safety of too many of them. Trump and his administration are acting contrary to the public interest and are yet again setting this country back decades. Here we go again. Dove, a company that produces products aimed at supposedly improving the look and condition of skin has besmirched black people about their skin with racist advertising. Dove posted on Facebook a series of four photos demonstrating a black woman pulling a brown shirt over her head and turning into a smiling white woman looking smug with satisfaction. It seemed to imply that with Dove products one could change their skin color as easily as removing a shirt. The problem is it equates black skin with something dirty, something that needs to be cleaned and made better, and that black people want to be white. The company later tweeted that it had “missed the mark,” and the ad has since been removed. Learn more about the SU-CASA artist-in-residence program’s application process by attending an information session at QCA on Thursday, October 12th at 6pm. SU-CASA is a community arts engagement program that places artists and organizations in residence at senior centers across the five boroughs of New York City. The program provides selected artists with a stipend in exchange for the creation and delivery of arts programming for seniors. Labels: SU-CASA is a community arts engagement program that places artists and organizations in residence at senior centers across the five boroughs of New York City. 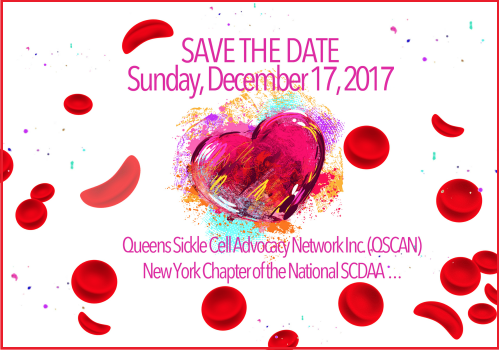 The Queens Sickle Cell Advocacy Network (QSCAN), The New York Chapter of the National Sickle Cell Disease Association of America, cordially invites you to their 17th Annual Scholarship & Awards Banquet. Join them as they honor distinguished leaders who are making outstanding contributions to the Sickle Cell Community. Labels: Join them as they honor distinguished leaders who are making outstanding contributions to the Sickle Cell Community. 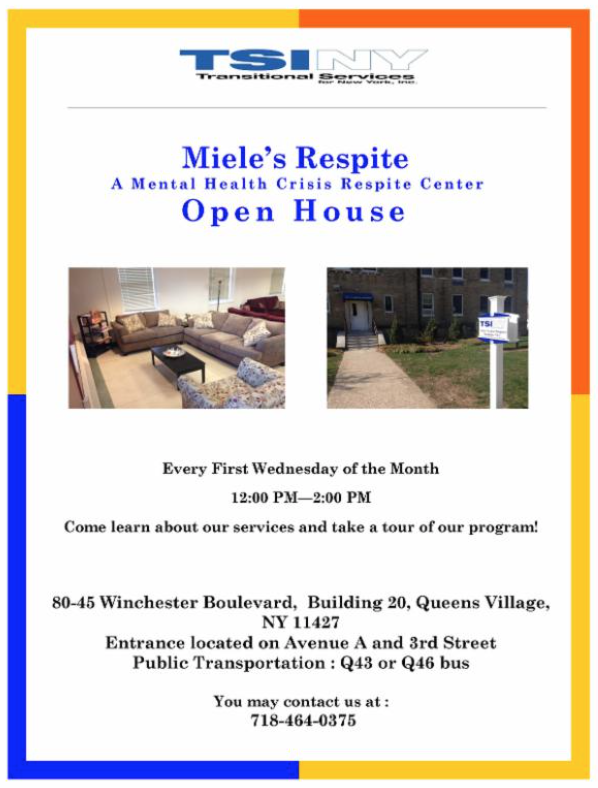 On the first Wednesday of each month, Miele’s Respite — a mental health crises respite center — opens its doors to those want to come learn about their services and take a tour of their programs. Labels: A mental health crises respite center. Larry Davis is on a mission. He's compelled to transform the education system to be more successful educating Black children. He's tired of lackluster success of many school systems what fail to help Black children excel in their academic endeavors. 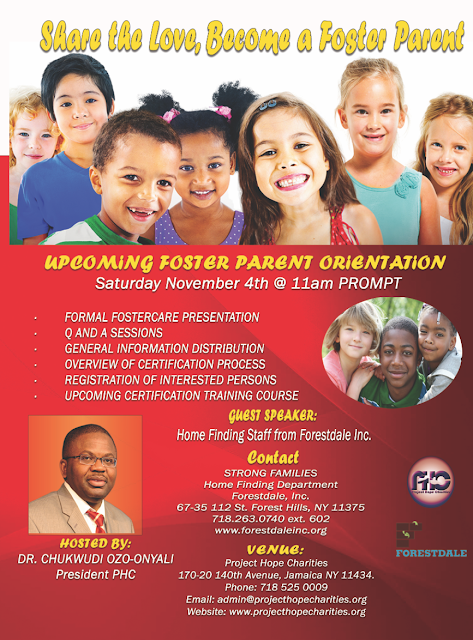 The challenges African American children face in the school system are thoroughly documented. We know how the educational system fails many African American students, and we know why. Despite this, little has been done to address and fix these issues. Thus, the problem persists. It’s time to stop merely considering the problem and start actively working toward a solution-for the betterment of students, educators, and the nation. In his recent book, entitled "The Re-education of the African American Child," veteran educator Larry D. Davis proposes a systematic, step-by-step approach to transforming how we educate African American children. Southeast Queens is known for its outstanding residents especially in fields like jazz, hip hop, business, politics, and sports. Standouts in these fields like Ella Fitzgerald, Joe Louis, Jackie Robinson, Lena Horne, Count Basie, John Coltrane, LL Cool J, 50 Cent, Ja Rule, Russell Simmons, Nicki Minaj, and Daymond John are just a small slice of the successful celebrities from the area. The area is also known for great intellectuals activists like Roy Wilkins and W. E. B. DuBois. However, the Greater Jamaica and Southeast Queens area is still the home community that cultivates greatness beyond well known luminaires. There are community members making a difference without a lot of fanfare. There are countless hardworking and positive people in Southeast Queens. 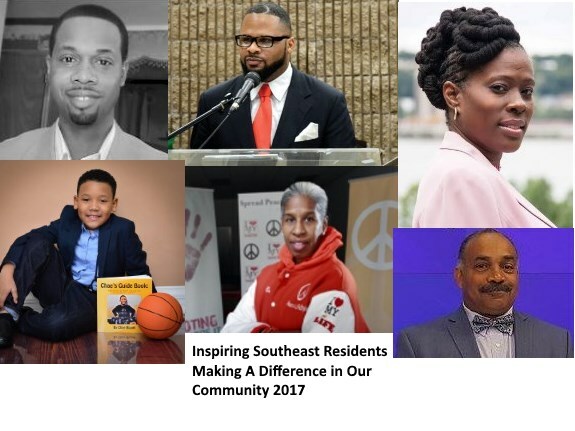 The following persons are an example of the amazing and inspiring people who make Southeast Queens a great community. Project Hope Charities is looking for special people to provide temporary homes, guidance and love to young people who cannot safely remain with their parents. Labels: Your role is to provide children and teens with the emotional support they need to heal and thrive. 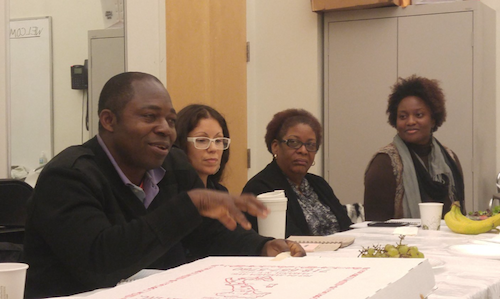 “Creative Conversations” is a monthly dinner meeting where artists have the opportunity to network, organize, meet community stakeholders, and develop strategies for community advocacy. It is open to the general public and artists working in all disciplines are welcome to attend. Labels: It is open to the general public and artists working in all disciplines are welcome to attend. On Oct 21st, during Domestic Violence Awareness Month, Zeta Phi Beta Sorority, Inc., Phi Zeta Zeta Chapter and their community partners will host a Free Women’s Wellness Event in Queens, NY. Nationwide - Shanon Nelson, owner of Amari Hair Extensions, the online hair boutique, is both anxious and excited about the future. The seasoned entrepreneur and former business professor with an MBA is poised to take her love of travel and international business for a foray into the massive $500 billion Black hair care and beauty industry. 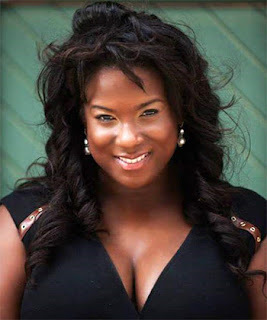 Labels: BLACK WOMAN ENTREPRENEUR MAKING "MONEY MOVES" TO RECAPTURE THE $500 BILLION DOLLAR BLACK BEAUTY AND HAIRCARE INDUSTRY. People bashed her. People mocked her. People said she was crazy. People said, “What in the world is a dark skin activist? She was stalked and harassed. 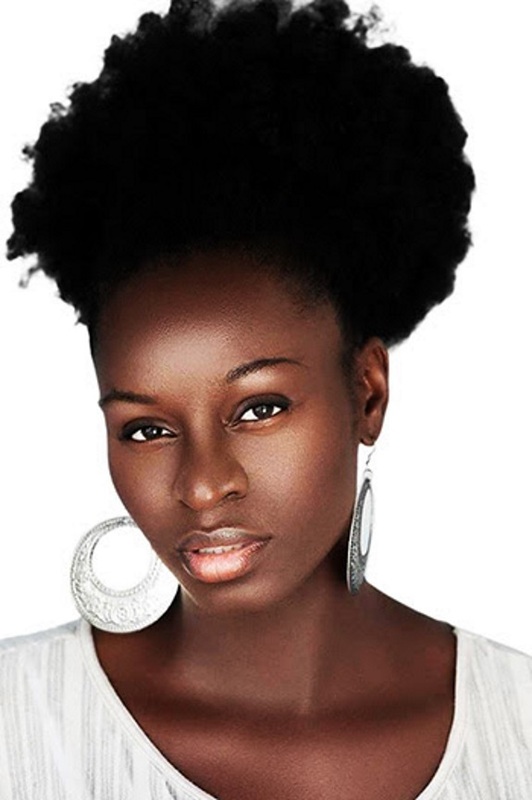 She took the real hits for dark skin. But since that time many others have attempted to emulate her but none can emulate the real struggle of dark skin activism that Rashida began back in 1998 in the trenches before the bright lights of social media. 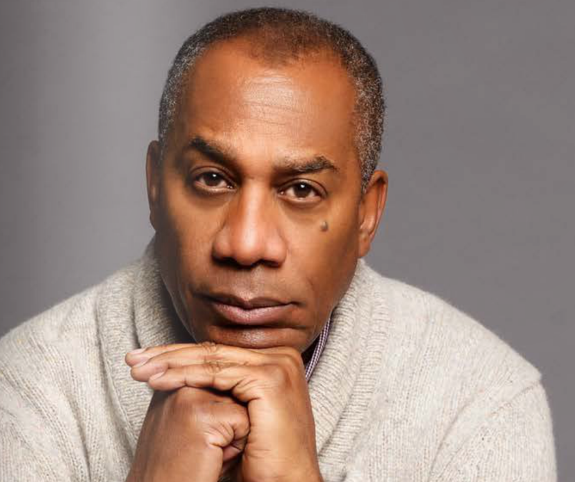 Joe Morton, the dramatic thespian standout from what used to be called Andrew Jackson High School, on the border of St. Albans, and Cambria Heights is very opinionated about the Trump presidency! Morton can be remembered for making ripples on the national stage in a small independent film called "A Brotha From Another Planet." More recently he is known as the dangerous dad AKA "Papa Pope" in the TV series Scandal. Morton wasn't happy with the tone of the Trump campaign is still vocal about his issues with the Trump presidency. Morton, is actually more vocal than Colin Kaepernick, on Trump and some social issues however, he isn't as visible making his political statements. Be Thankful: Feeling very thankful for the doors God is opening for me now that I have started to be obedient to his word. So many great things are in store for 2018 - for me and the people I serve. I can't wait! This Is Your Time: Every season is one of Purpose. As we enter the last quarter of the year, what will you purposely do to end/start the year on the right foot. Now is the time! Labels: “Ouija: Origin of Evil” (2016). 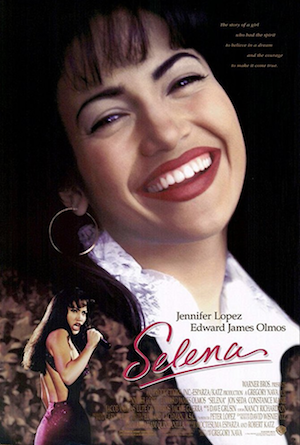 Labels: The true story of Selena Quintanilla-Perez. Labels: de Blasio w/ Chirlane McCray If you’re a fan of Bill de Blasio’s, then here is your chance to show your support while having a great time. 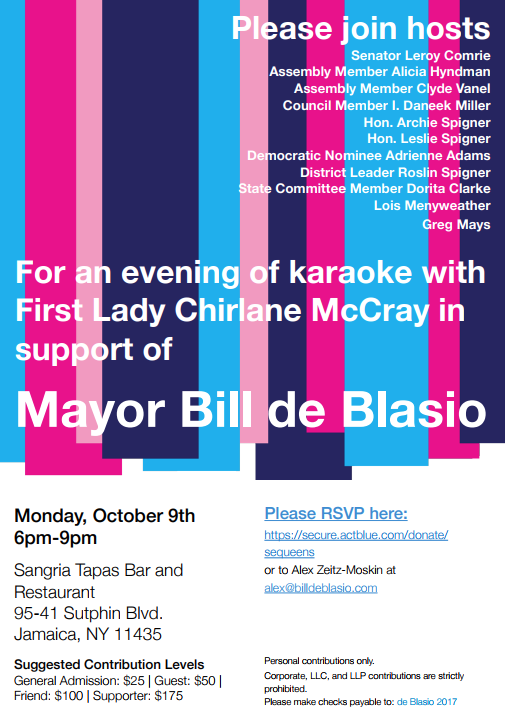 Attend the karaoke fundraiser for Mayor Bill de Blasio. 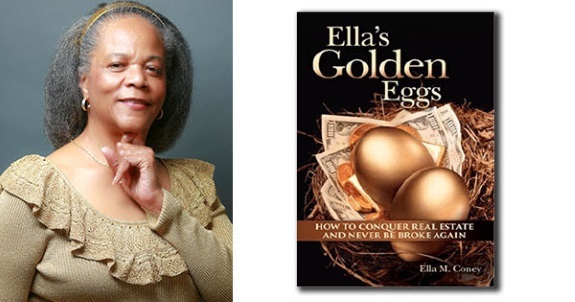 Denver, CO - Ella's Golden Eggs: How to Conquer Real Estate and Never Be Broke Again is real estate expert Ella M. Coney’s latest release. “No matter where you start, prosperity is within your grasp,” says Coney, whose own compelling rags-to-riches story has motivated others to follow in her footsteps and experience success with a career in real estate. 35 years ago, Coney, who is from Denver, was suicidal. She had lost her job, eviction was just around the corner and mentally she just couldn't cope. "It was so bad that I tried to take my own life," says Coney, "but I was meant for more." Coney was in a coma for three days and, when she awoke, this is was happened: "My sister Helen was there and a poem was written on the ceiling above me. It was titled, Don't Quit, and I didn't quit." 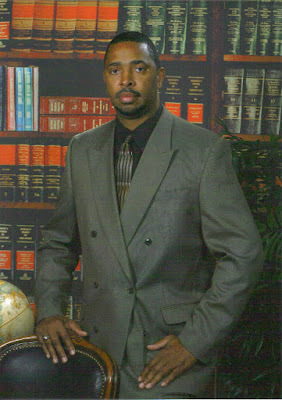 Labels: BLACK MILLIONAIRE'S NEW BOOK REVEALS HOW TO CONQUER REAL ESTATE AND NEVER BE BROKE AGAIN. 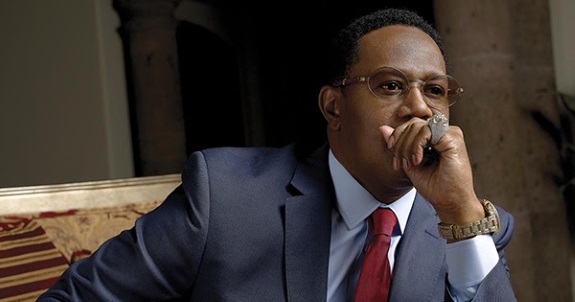 New Orleans, LA - Percy Miller also known as Master P is a money, power and business tycoon. Regarding his success, he comments, "I couldn't just be a street guy. And a lot of people want to be in business, but they don’t know how to make those transformations. They still want to be in the streets. I gave it all up. They still want to be in the streets. I gave it all up. I had to cut out the negative people in my life because I wanted better for my family."